Researchers at Phytel reached their findings after analyzing lab results and billing data for 23,000 patients with diabetes over three consecutive years. Despite national attention, they found that uncontrolled diabetes was growing, and there was sizable turnover in the uncontrolled population from year to year, indicating that new patients take the place of those that graduate to a lower A1c result. Researchers also found that more than half (57.5 percent) of patients have their first 9+ score (signifying poorly controlled diabetes) on their first test. For all patients, the longer the interval between tests, the greater the probability that the next test result will be 9+. Patients at real risk are those that wait to seek care until their condition is exacerbated to an acute phase, researchers say. A broader population-based approach is required to catch two categories of at-risk patients: those who have uncontrolled scores on their first test and those who migrate to the 9-plus threshold from a lower one. Proactively reach out to their entire population between office visits so patients waiting too long to get retested are motivated to have the testing done earlier. 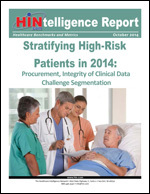 This process can be expedited with automated population health management technology. 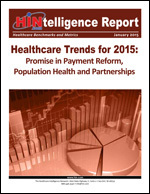 The authors believe that this more comprehensive, total population approach would produce greater clinical and financial results, especially for those provider organizations that are focused on quality and value-based payment models and are operating patient centered medical home (PCMH) and accountable care organizations (ACO). Diabetes is a common chronic condition and one of the leading causes of disability and death in the United States. It is also one of the most expensive chronic conditions — costing more than $245 billion a year in direct and indirect costs — because of serious complications that result in hospitalization and the intensive use of other healthcare resources. Improving management of diabetes and other chronic diseases is critical for success within emerging value-based and pay-for-performance payment models, which tie provider reimbursement to health standards for entire populations. 2012 Healthcare Benchmarks: Diabetes Management provides actionable data on current diabetes management programs and their impact on population health outcomes and healthcare spend, and is designed to meet business and planning needs of primary care providers, physician organizations, health plans, disease management organization and others by providing critical benchmarks that show how the industry is working to more effectively engage patients in the self-management of their diabetes. This entry was posted in Diabetes, Disease Management, Population Health Management and tagged diabetes, disease management, population health management. Bookmark the permalink.